If you’re on a limited mobile data plan, it can be difficult to control your usage with video ads and videos in general automatically playing, but we have you covered. If you’re on a limited mobile data plan, it can be difficult to control your usage with video ads and videos in general automatically playing. Yesterday we showed you how to disable autoplay videos in your browser to save data and bandwidth. Here’s a look at how to disable auto-play on popular mobile apps to help save your mobile bits for what you need, and avoid overage charges. Mobile apps are becoming notorious for auto-play videos. The options here won’t be comprehensive, but for the apps that you often use like Facebook, Twitter, Instagram, and YouTube, here are some tips to help you out. If you are using an app such as Snap Chat, which is heavily video-based, you will probably have to accept the trade-offs. But with YouTube, sometimes you can get away with watching a couple of videos now and then. 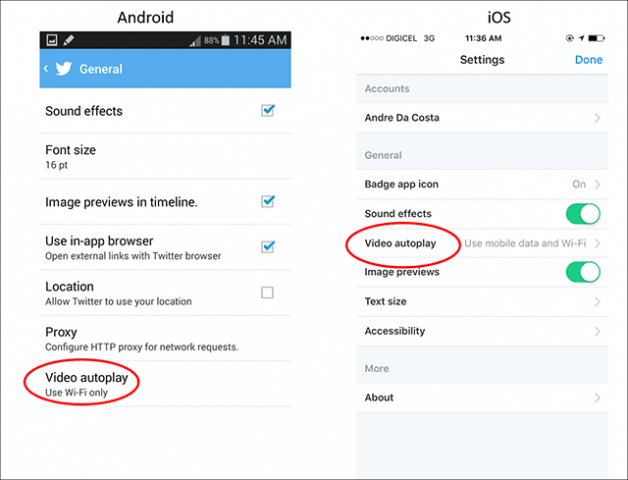 Tap Autoplay from the Android settings. Or on iOS, tap Videos and Photos. Then select Never Autoplay Videos. 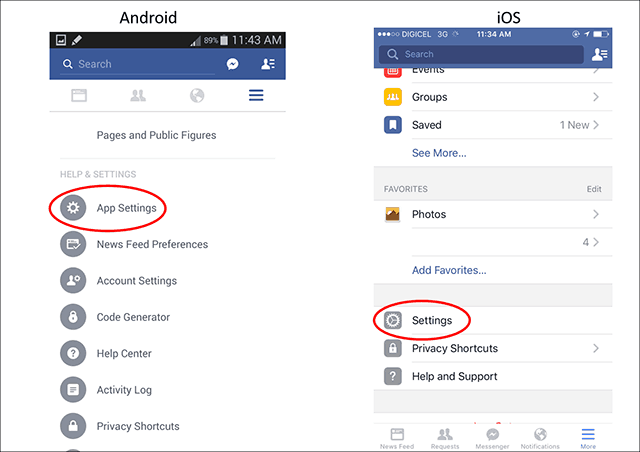 Go to Settings on your Android or iOS device. Then tap General from Android settings. Or, on iOS tap Settings. 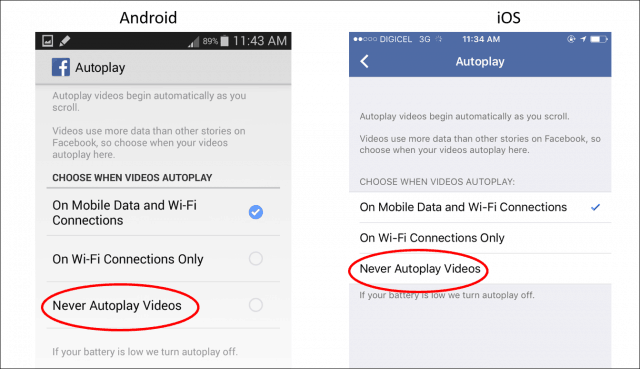 Then tap Video autoplay on either device. 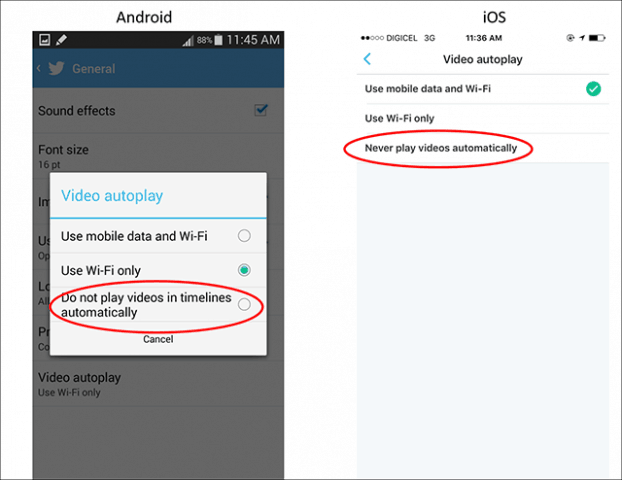 Tap Do not play videos in timelines automatically, on iOS tap Never play videos automatically. Open Instagram on iPhone, iPad, or Android device and go to Settings. Then select Cellular Data Use from the menu on either platform. And finally, turn on Use Less Data. 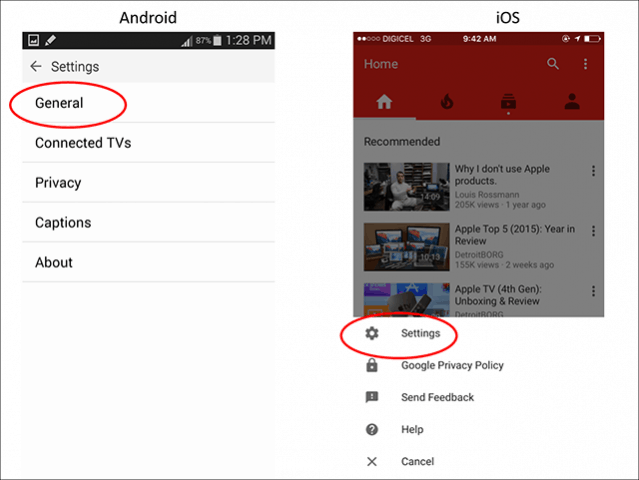 Launch YouTube on either Android or iOS and go to Settings. Then on Android tap General. Or, on iOS tap Settings. Then on Android tap Limit mobile data usage. On your iPhone, turn on Play HD on Wi-Fi only. That way, while you’re using your data plan, it won’t be wasted on HD videos, but you can still enjoy them over a Wi-Fi connection. Hopefully, these tips can help you squeeze a little bit more out of that limited data plan while still enjoying your favorite websites. 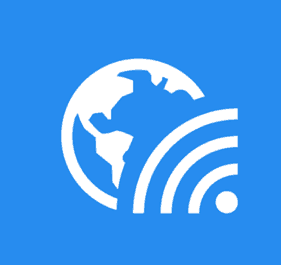 I would like to see these apps, mobile operating systems, and websites be a little more considerate to countries and areas of the US with limited bandwidth options. Mobile devices such as smartphones are becoming the first computing device for many users in developing countries. At the same time, we have to contend with the limitations of the Internet where we live, and the high cost of data.